The center medallion diamond (a square “on point”) and its sawtooth border are common in this region, as is the grapevine border. Family history records that Martha began this quilt in 1794 at age six with her mother’s assistance, working her way from the small center to the outer borders. This story is supported by the printed cottons and backing fabric in the outer border, which do not match the rest of the quilt. Martha may have finished the last border at a later date, perhaps closer to her 1817 marriage to Isaac Darst. The Harness family easily could have afforded costlier fabrics, but chose to work with a limited palette to allow the design and stuffed work to take center stage. Merchants, even in rural western Virginia where they lived, advertised the latest fabrics for sale after their twice-yearly trips to Baltimore or Philadelphia to stock up on the latest imports. 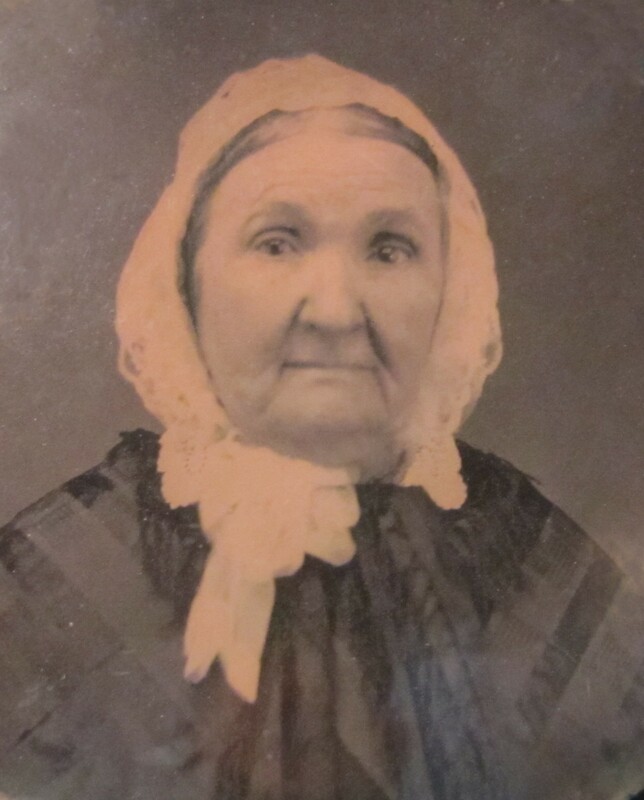 Martha Harness Darst, about 1850.